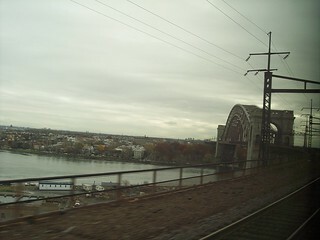 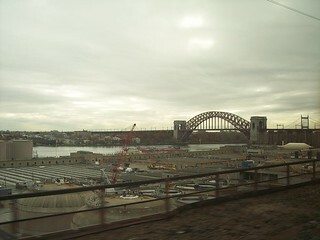 Soon after the former Casanova station we begin our long ascent to the Hell Gate Bridge. 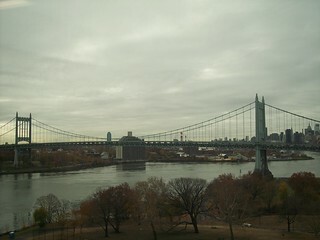 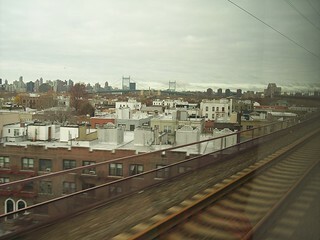 From the bridge we can see the neighboring Triboro Bridge. 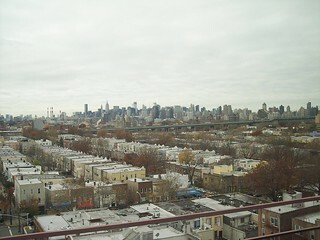 Once on Long Island we look out over Queens to Manhattan.